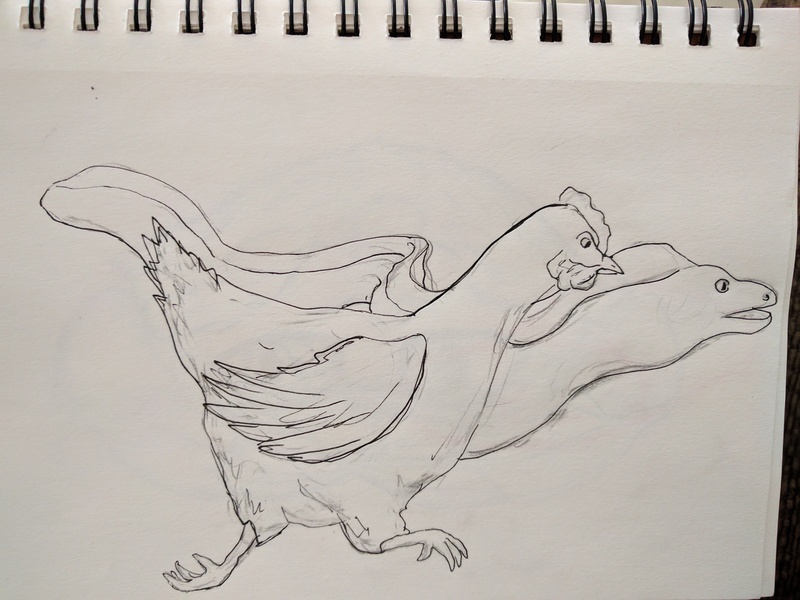 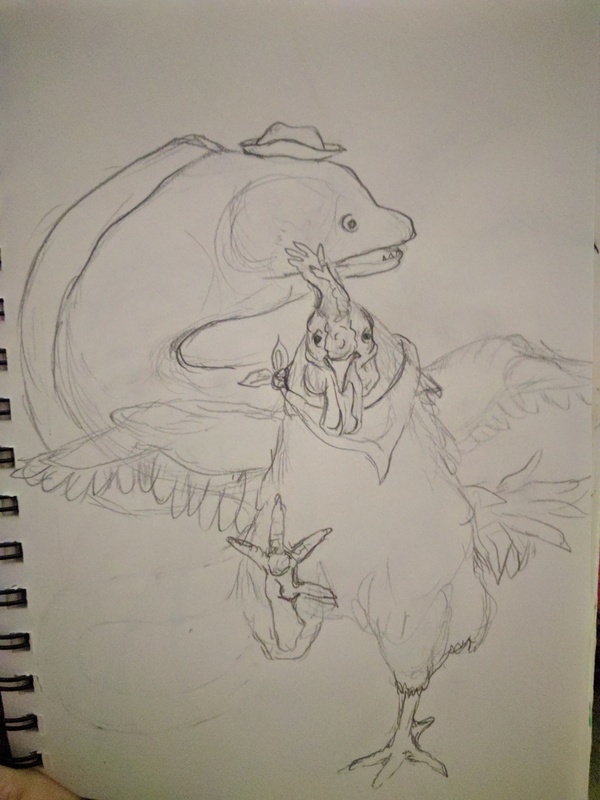 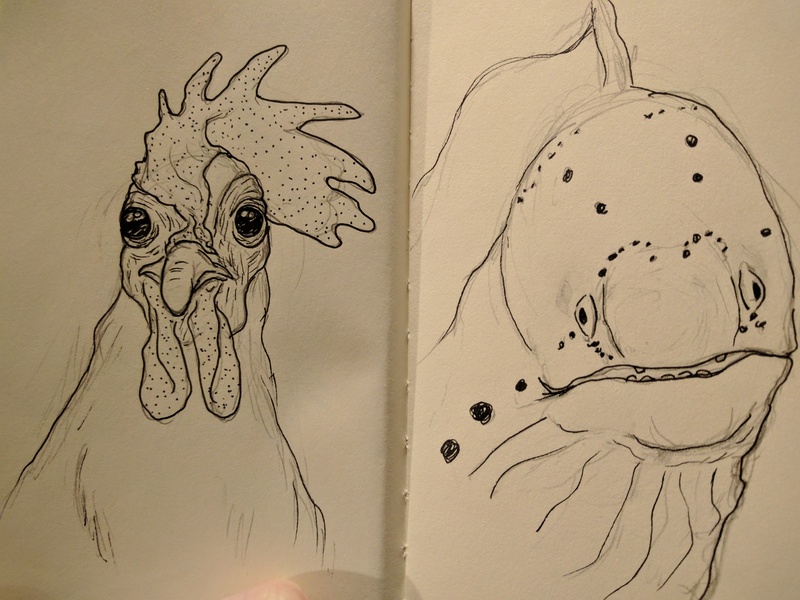 This is the start of my 100 day sketch project. 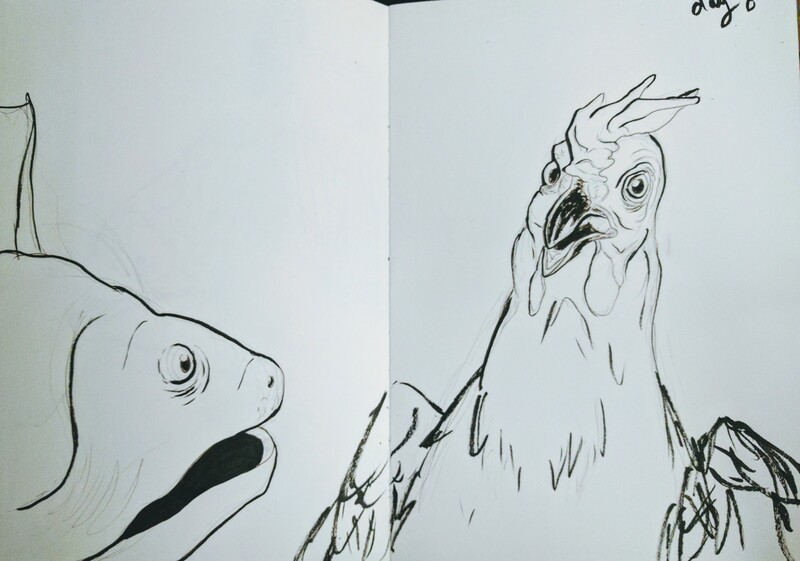 The subject is just two of my favorite animals. 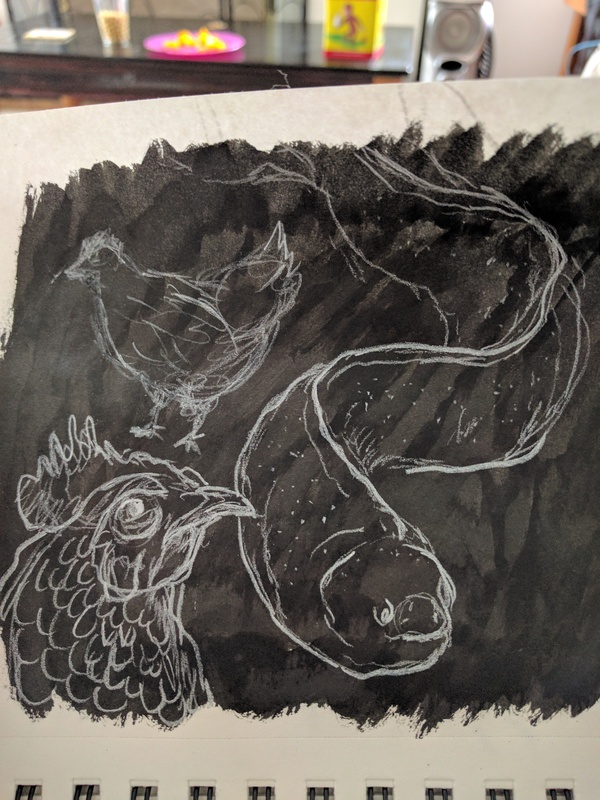 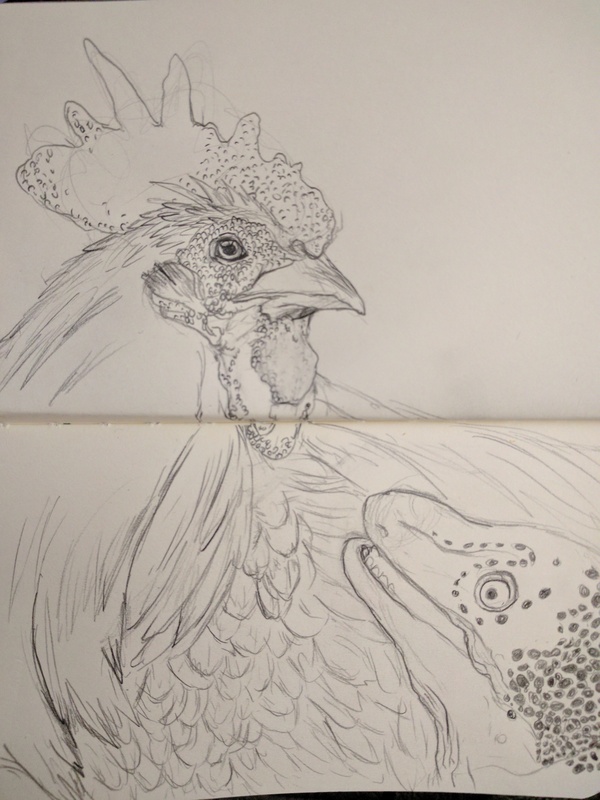 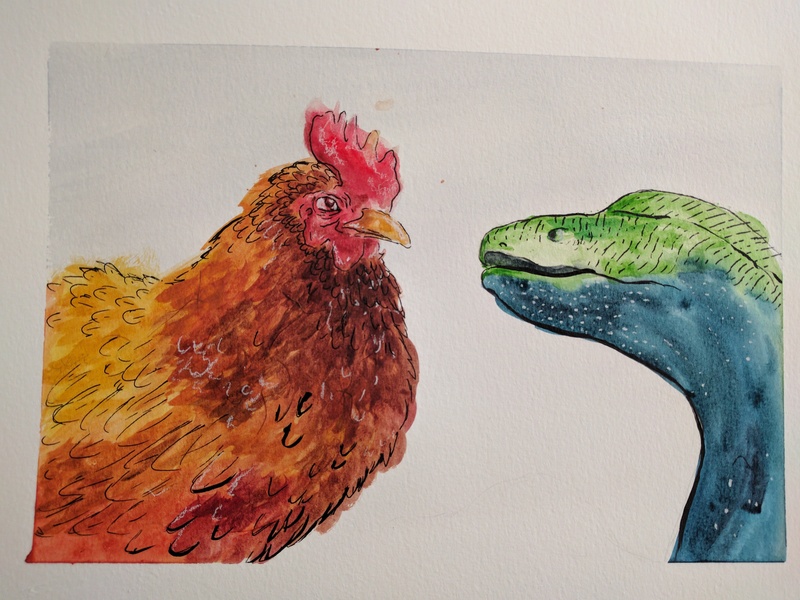 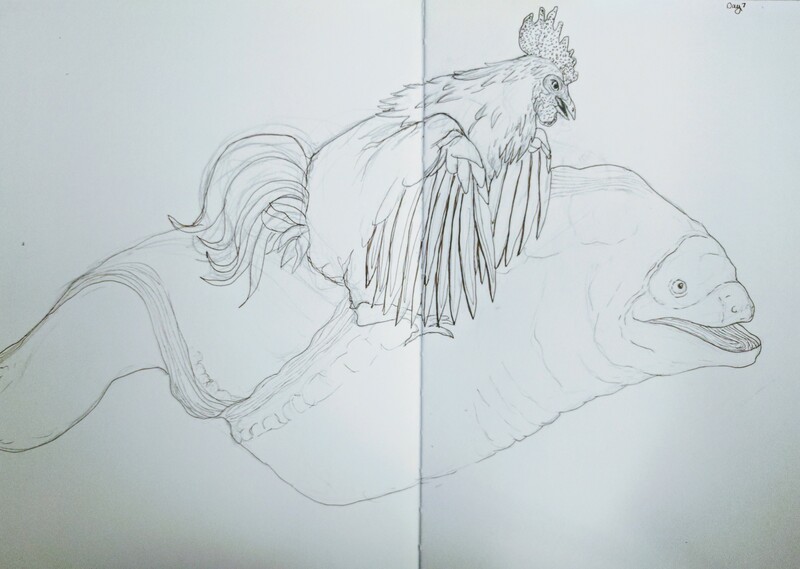 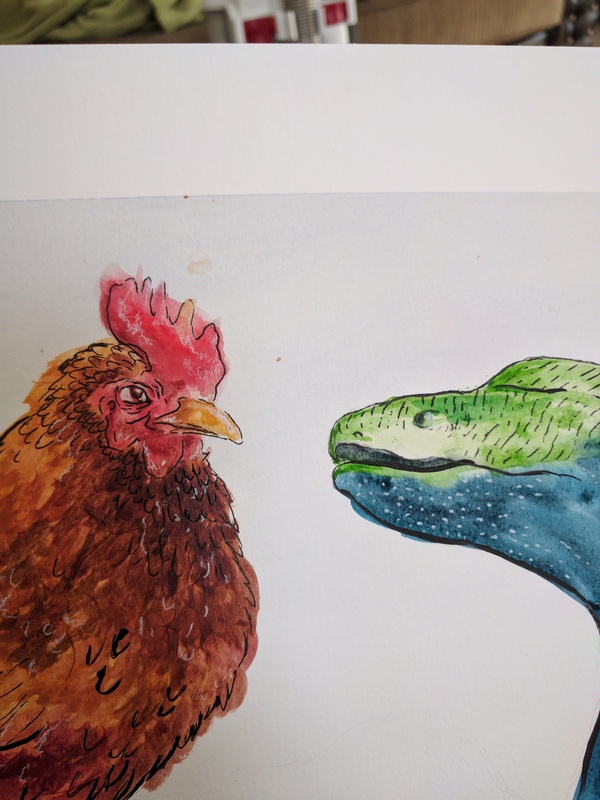 Chickens and Moray eels.